Whether you’re just popping in for a business trip with a sightseeing day to spare, or a very short sejour as part of a whirlwind European tour; if you’re hoping to catch the sights and sounds of Paris in just a day, don’t fret: Paris is very doable in 24 hours. Of course the travel connoisseurs out there will laugh off the idea that a city as complex and mysterious as Paris would reveal herself to anyone in just a day…and I would be the first to agree! 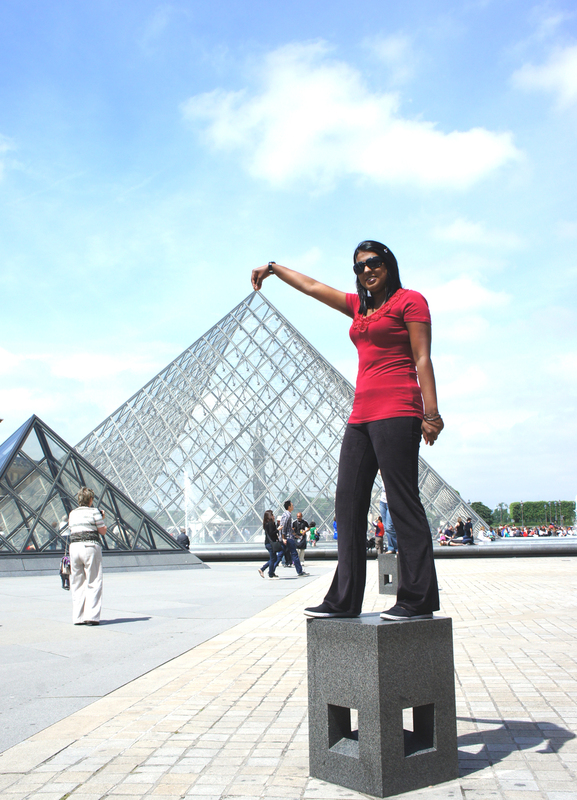 Paris, like many European cities, has a rich and extensive history. The best parts of the city are usually found away from the tourist crowds, and I highly advocate getting lost, on foot, to truly unearth her essence. But if all you have, for one reason or the other, is a mere 24 hours, then well, you’re damn well going to want to make those hours count! 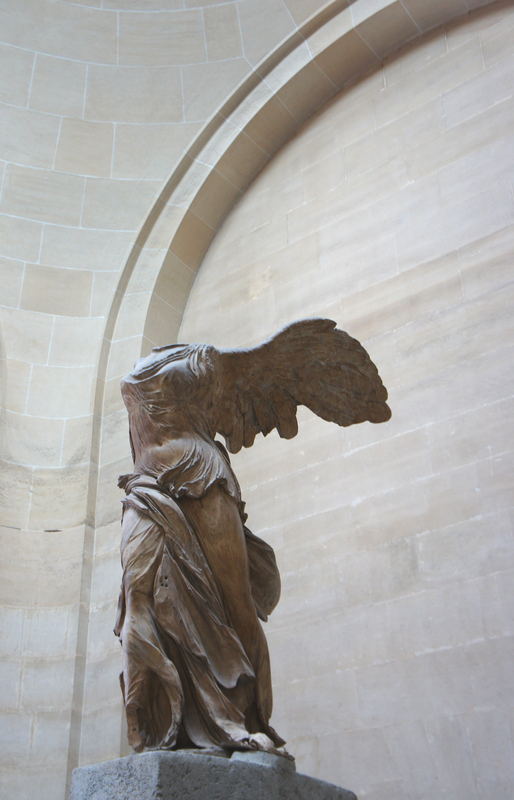 The idea of this post came up when a friend of mine wrote me asking for tips on what to see in Paris, noting that she only had a very limited time to spend in the city. If you’ve skipped your hotel breakfast, or if you’ve just got in on an early Eurostar train, the first thing you’d want to do is locate your nearest boulangerie (bakery) to buy some croissant or pain au chocolat, still warm from the morning’s baking. Whilst it quite rare to find a badly baked croissant in Paris, there is still that possibility, so look for boulangeries with a line of locals – always a good sign! A belly full of authentic (and delicious) French patisserie is the French way to start your day. Seriously, just ask the locals! With only a little time in this incredible city, you’d probably want to try to see Paris’ most famous sites. 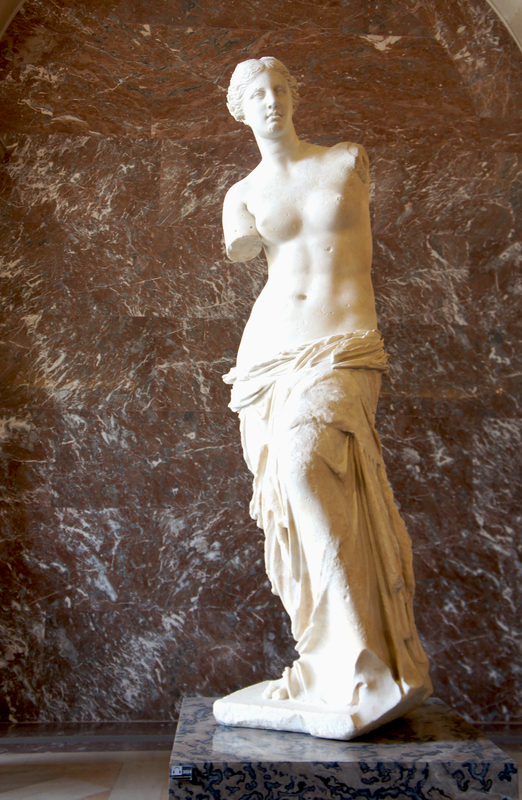 If you’re a museum buff, head for the Louvre museum (metro line 1, 7; Palais Royal Musée de Louvre). 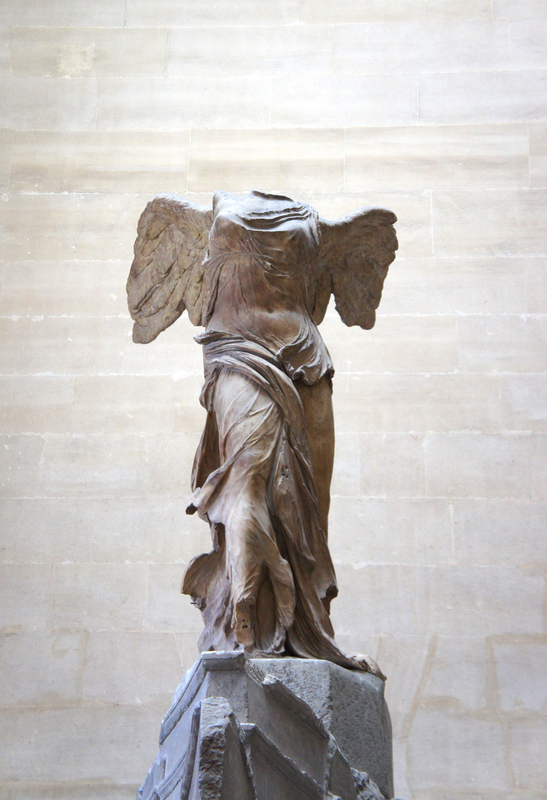 While I would personally advocate for a visit to the Musée d’Orsay instead of the Louvre, if it’s your first time in Paris, you should definitely do a short tour of the Louvre that allows you to see the museum’s three famous ladies: Leonardo da Vinci’s “La Jaconde” (Mona Lisa), the Greek statue of Venus de Milo, and the winged Victory of Samothrace. 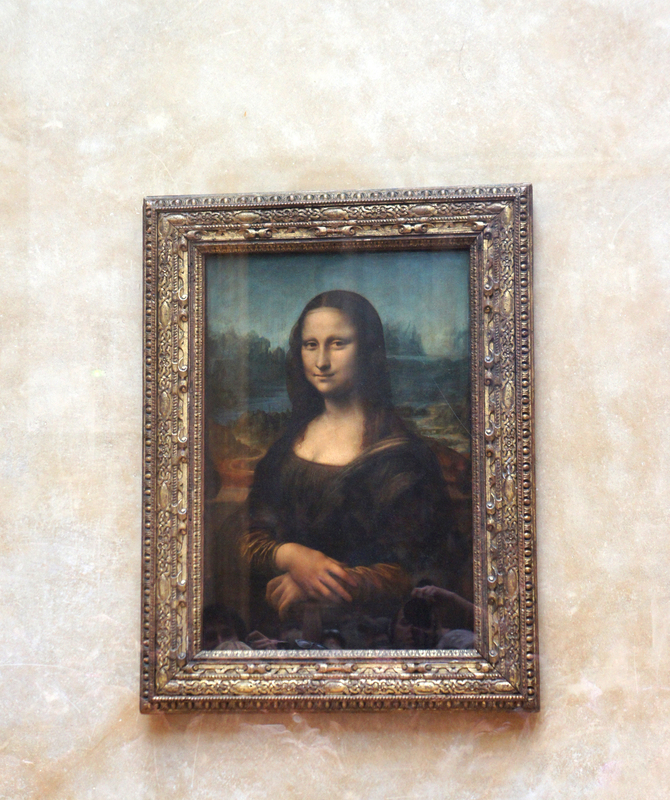 Several Louvre ‘express tours’ are available to ensure you see these three important works of art, but really, the standard Louvre map provided with your ticket will suffice for a quick, self-guided tour. After the Louvre, you’d want to hop back on the line 1, and head all the way to metro stop ‘Franklin Roosevelt’. As you ascend from the depths of the metro, you will be greeted by the swarming crowds on the Champs-Élysées. Stroll up this street, for a little taste of Parisian shopping. The huge chain stores and luxury brands will certainly be tempting, but avoid eating along this street, as the food is a tourist trap. 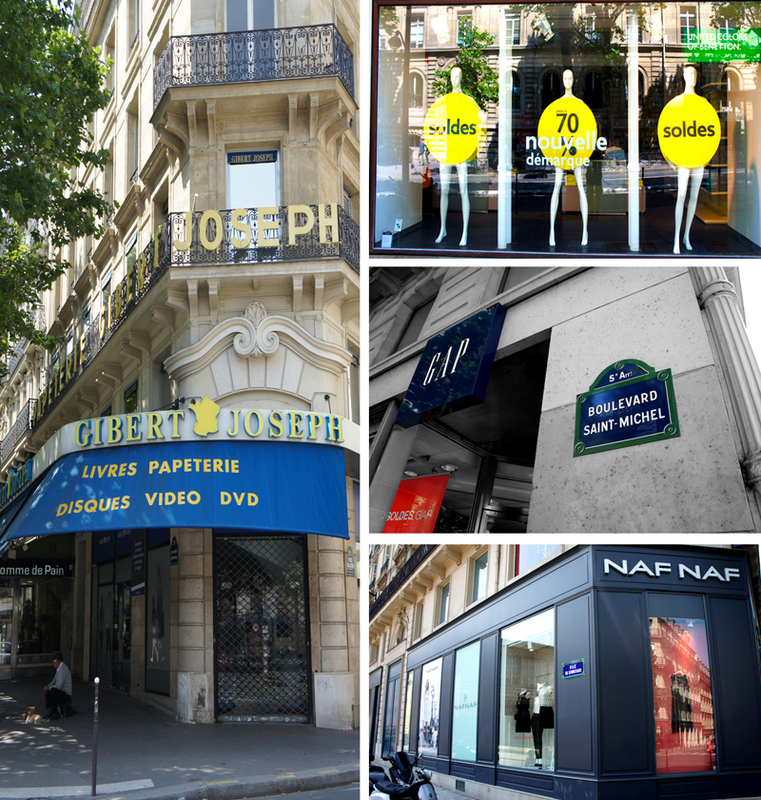 (read more on the 7 best shopping streets in Paris here). 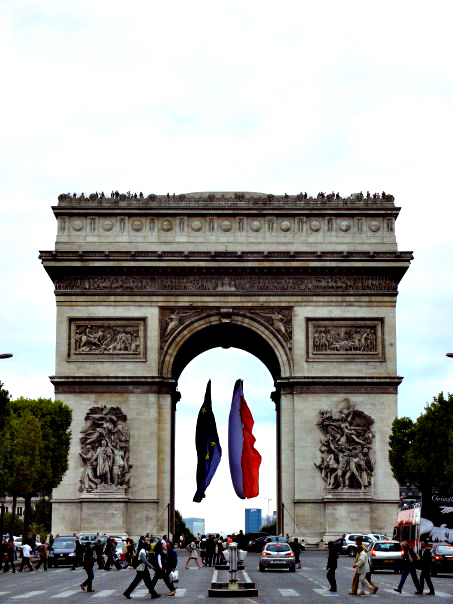 Up ahead you will find the magnificent Arc de Triomphe. To actually wind up under the Arc itself, or to climb to the top for great views of the Champs-Élysées all the way to the Concorde, make your way back underground, to access the entry passage – do not even think about crossing the traffic circle! Right around the corner, you’ll find the famous Moulin Rouge, and if you follow the throngs of people heading upward, you’ll be on your way to the impressive Basilica of Sacre Cœur, found at the very summit of butte Montmarte. 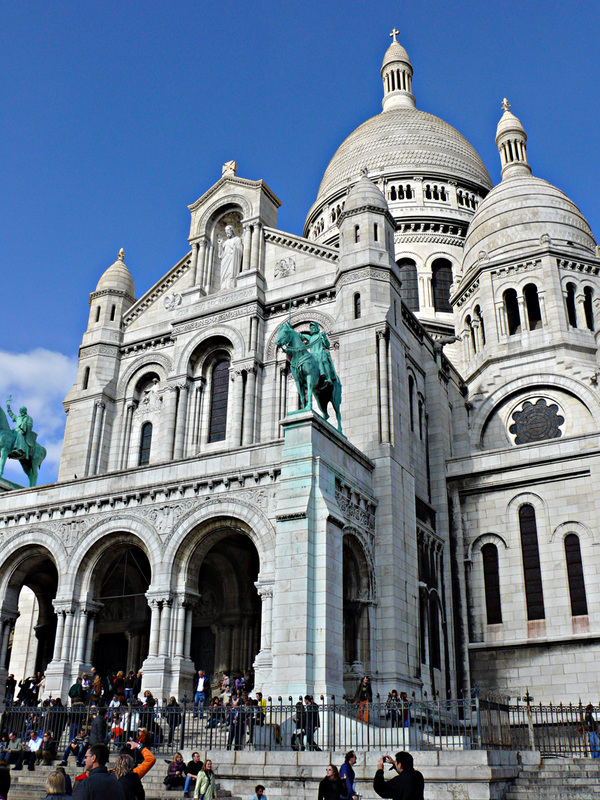 The views over Paris from the courtyard of the church are to die for, and a visit inside the basilica to gaze at the impressive organ and stained glass windows, is a must. Afterwards, you could always take the funicular to reach the bottom again – a different experience from climbing back down all those stairs! For a view of a neighborhood that doesn’t conform to picturesque Paris, head for the ‘Barbès-Rochechouart’ metro stop a short walk away where you can take the line 4 all the way to ‘Saint Michel’stop. There are plenty of souvenir shops dotting the streets around St Michel, so if you really need to buy a T-shirt that reads: ‘J’adore Paris’ or a hundred Eiffel Tower key chains, this would be the place. Although I implore you, please don’t buy tacky Eiffel Tower key chains! Local cheese and wine make much better souvenirs, guaranteed to be loved by friends and family alike. There are also some nice clothing shops in the St Michel area, particularly along Boulevard St. Germain; and the Luxembourg Garden a short stroll away gives a welcome break from the pavement pounding. The must-see monument near St Michel is of course the incredible gothic cathedral of Notre Dame. 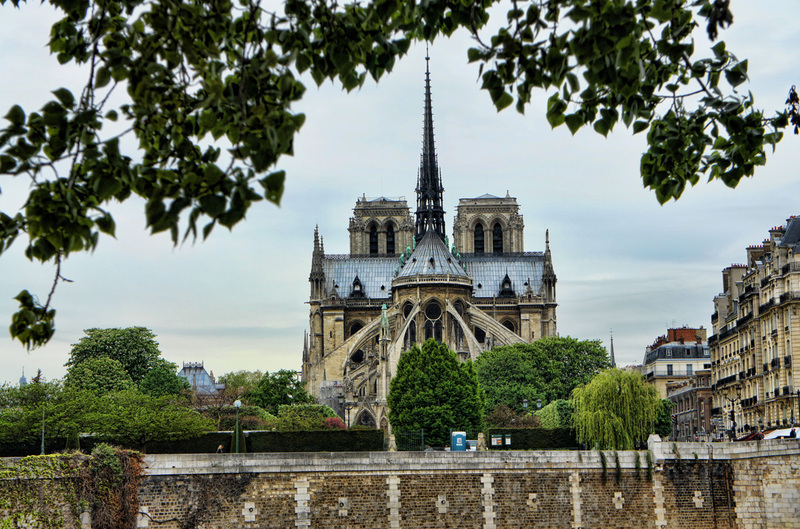 Just cross the Seine on Ile Saint Louis – the impressive spires of the cathedral along with the spooky gargoyles staring incessantly down at you. A visit inside the cathedral is worthwhile if the queues aren’t overwhelming. I’d recommend heading back to your hotel at this point, for a little relaxation or a shower before heading down to the docks for an afternoon cruise along the Seine. 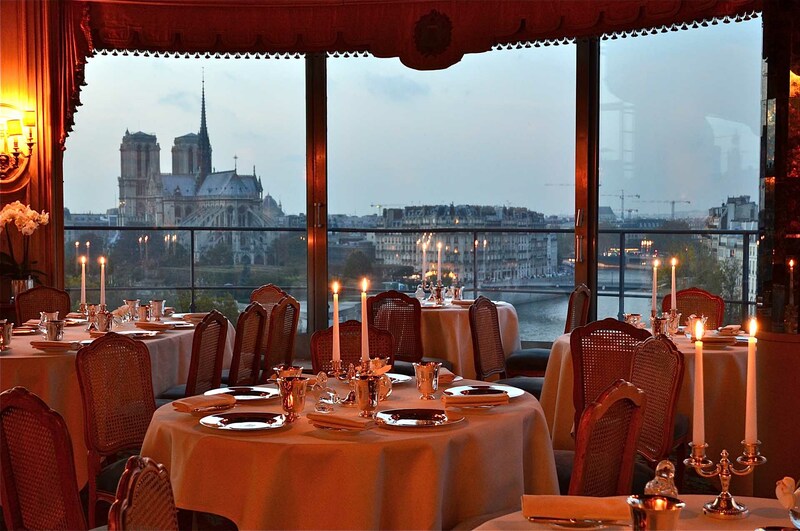 There are numerous companies that offer Seine river cruises, and these can range from a simple one hour cruise with a guide, to a full 3-course dinner cruise. It’s important to note however that different companies begin their tours at different points along the Seine. While the Bateau Mouches is probably the most famous, I’d rather head over to Pont Neuf (literally translated – New Bridge, but contrary to the name, is one of the oldest bridges in Paris), for a cruise with Vedettes de Point Neuf. 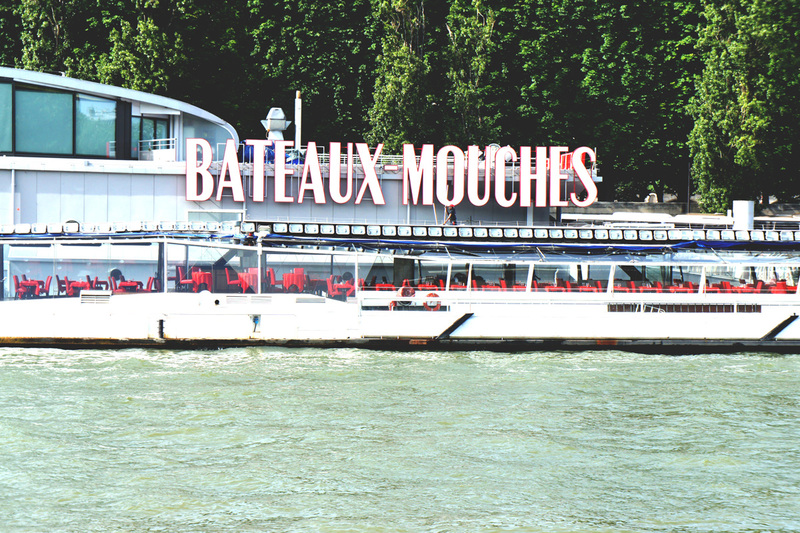 There are usually discount tickets available for purchase online beforehand, and these cruises are typically smaller and less crowded that those of Bateau Mouches. I’d also aim to take the cruise as late as possible, to ensure that the most famous attractions of Paris are lit up. 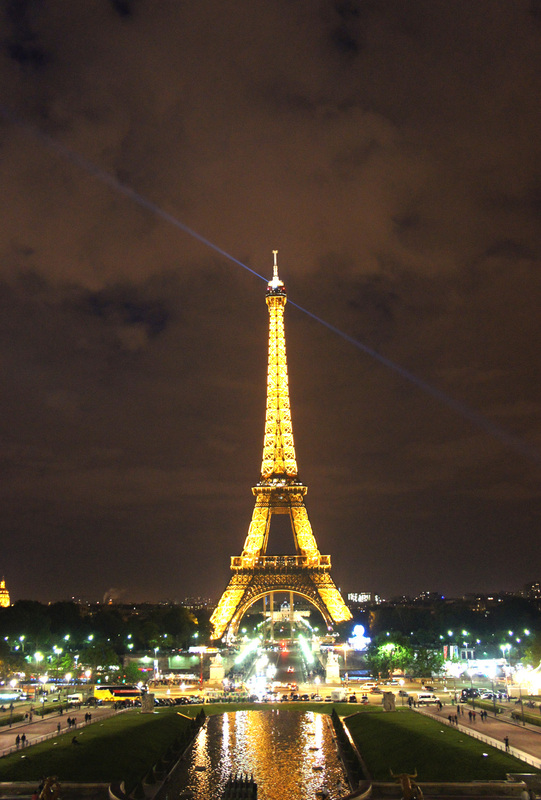 It’s not called the City of Lights for nothing! 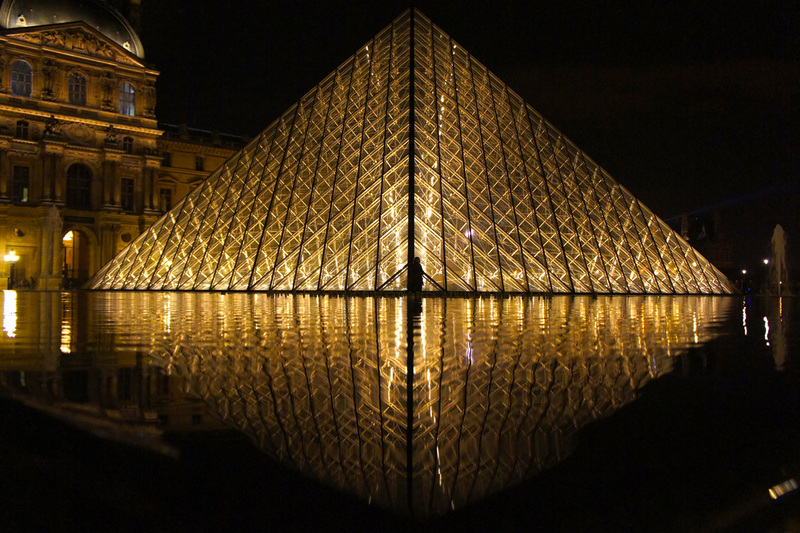 In a little over an hour you’ll be treated to the amazing sights of Paris’ most iconic attractions, from the Eiffel Tower to the Alexander Bridge, from Musée d’Orsay to the Notre Dame cathedral, which looks even spookier as darkness falls. If you’d rather experience authentic Paris with a smaller price tag, head for Place Dauphine as soon as you disembark your cruise. This typical neighborhood with a host of café’s, bars and creperies will leave you feeling immersed in Parisian culture. Depending on your remaining energy and enthusiasm, you could then put on your dancing shoes and head out to one of Paris’ trendy nightclubs. For my part, I would rather head over to the Trocadero square, bottle of wine in hand, where I’d bid au revoir to the City of Lights as the Eiffel Tower puts on her very best sparkle show.